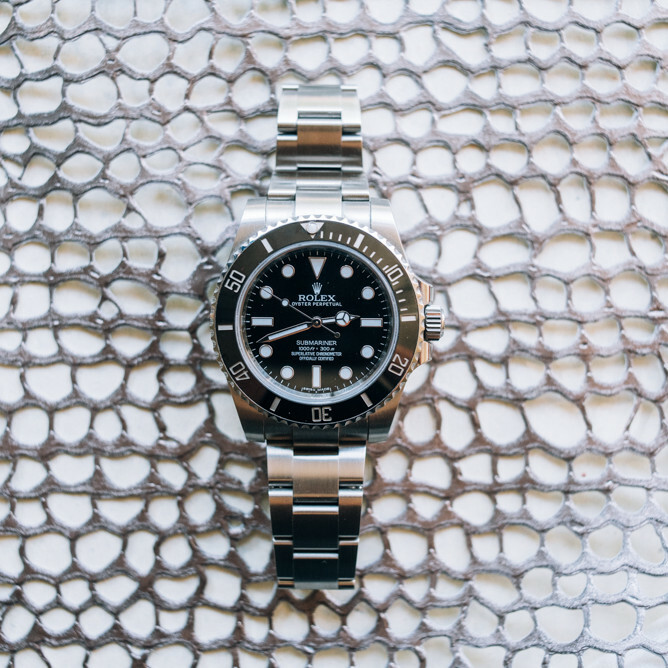 When thinking of luxury watches, many people immediately think of Swiss-made watches. This isn’t unusual since Switzerland is home to some of the greatest watch brands, such as Patek Philippe, Rolex, Omega, and TAG Heuer. However, Switzerland isn’t the only place for luxury watch brands. Japan is home to Seiko, Casio, and Citizen; and Germany is home to A. Lange & Sohne, Montblanc, and Nomos. Hamilton Watch Company was founded in Lancaster, Pennsylvania, but in 1969 the brand closed its American factory and shifted its manufacturing operations to Switzerland. Another brand, the Elgin National Watch Company was based out of Elgin, Illinois, and it sold watches and pocket watches from 1864 to 1968. However, in 1968 the Elgin National Watch Company halted all US manufacturing. A third US watch brand, the Waltham Watch Company, produced nearly 40 million watches, clocks, speedometers, compasses, and other precision instruments from 1850 to 1957. Then in 1957 the Waltham Watch Company went out of business. There was a brief stint where not much happened with the American watch industry; however, it's slowly growing and gaining steam. We’ve chosen our top ten American watch brands, and we're sharing them with you. These brands design and manufacture a range of watches, from fashion watches to high-end luxury watches. Before we get started, it is important to tell you that truly “American Made” watches are few and far between. There are a few brands, such as RGM, Keaton Myrick, and Kobold, that don’t just assemble watches in America, but also make the majority of the parts here. However, most of the brands outsource watch parts, especially movements, from Switzerland, China, and Japan. But these watch brands still design, assemble, and manufacture their watches in the USA. So take a look at let us know what you think about these US watches. RGM was founded in 1992 by American watchmaker, Roland G. Murphy. Unlike many other American watch brands, RGM manufactures watch movements in-house and 90 percent of their materials are made in America. This American watch brand respects the tradition of watchmaking by using antique, hand-operated machinery to create their watches. RGM watches are simple but sophisticated, and many of their watches offer a vintage aesthetic. RGM is known for creating quality dive watches and chronographs, and they are continually producing bespoke timepieces, such as the Caliber 801 and the Pennsylvannia Tourbillon. The watch shown is the RGM PS-801-EE, priced at $11,900. Shinola, one of the most well-known American watch brands, was founded in 2011. The brand manufacturers not only watches but also bicycles, denim, leather, and baseball gloves. Shinola, based in Detroit, has been recognized for increasing the number of manufacturing jobs, creating more than 500 US-based jobs. As for their watches, Shinola sources parts for their watches from Europe and Asia, and their watches use Swiss-made Ronda movements. Although the watch parts are outsourced, the watches are designed and built in America. Shinola produces stylish watches for both men and women, and their watches are reasonably priced. The watch shown is the Shinola Runwell 47 mm, priced at $550. Kobold was founded in 1998 by Mike Kobold as part of a Carnegie Mellon University class project. The brand was founded on adventure, and its American made watches are designed to take on the elements. Kobold watches have a classic yet rugged appearance that fits well with the a Kobold slogan to “Embrace Adventure.” Mike Kobold and his wife even put their watches to the test when they climbed Mount Everest to raise money for the Navy SEALs Fund. In 2006 Kobold introduced the Spirit of America model, the brand’s first watch to be assembled in the United States, yet this model used imported Swiss parts. In 2008 the brand launched the Spirit of American Automatic, the first serially produced American watch in 39 years. Over 89 percent of the value of the parts were produced in the USA, and it boasted a 100 percent American-made case. The watch shown is the Kobold Soarway 44, priced at $1,450. Devon, an unusual luxury watch brand, is based out of Los Angeles, California and led by creative director, designer, and conceptual artist Scott Devon. These American-made watches use a system of interwoven time belts to display the hours and minutes. Devon watches are functional works of art, and in 2010 the Devon Tread 1 was the first-ever American watch to be nominated for the highly coveted Gran Prix d’Horlogerie de Geneve in the Design and Concept Watch category. Devon watches are designed, developed, and manufactured entirely in the United States. It’s understandable that the brand creates their own movements because they wouldn’t be able to find a similar design anywhere else. The interwoven time belts, called the Tread 1, are a patented system that can only be used by Devon. Watch shown is the Devon Tread 1 F, priced at $15,000. Weiss, based in Los Angeles, California, was founded in 2013 by master watchmaker Cameron Weiss. Weiss is one of the few watch manufacturers that makes their own mechanical watch movements in the United States. Weiss also manufactures American-made cases, dials, spring bar tools, straps, and all of their packaging in the USA; and each watch movement is finished by hand in Los Angeles, CA. Watches utilizing the Weiss Caliber 1003 movement are American Made, while other models using a mix of American Made components and Swiss movement components are hand finished and assembled in the Weiss studio in Los Angeles, CA. Each day Weiss strives to increase their offering of completely American Made timepieces, but restoring an industry that was nearly gone from US soil is a slow process if done right. In order to reach this goal, each new model that the brand creates introduces new American-made elements. The watch shown is the Weiss 38mm Automatic Issue Field, priced at $1,995. Founded in 2013, the Detroit Watch Company creates modern watches with sleek and attractive styles. As a tribute to their city, the Detroit Watch Company designs each collection to represent a unique aspect of Detroit. For instance, the brand’s first collection was named 1701 to celebrate the year that the city of Detroit was established. Although the Detroit Watch Company imports Swiss and Japanese mechanical movements, they design all of their components (such as the case, dial, and hands) themselves. The Detroit Watch Company cases each movement and hand-assembles each watch in Detroit. After casing, their watches are tested in-house to ensure accuracy. The watch shown is the Detroit Watch Co B24 Liberator Aviator 1st Edition Swiss 39mm, priced at $1,100. Hager was founded in 2009 with the goal of creating high-quality automatic watches at affordable prices. Today the brand continues to make automatic watches accessible for watch enthusiasts. Hager is known for creating tool watches that are classically styled and can stand up to real use. The brand’s current collections include dive watches, pilot watches, and GMT watches. To keep prices low, Hager has partnered with suppliers and factories in Switzerland, China, and Japan. Although this American watch brand uses foreign components, they design and assemble the watches in their Maryland shop. Hager is made up of a small team of watchmakers, so you may have to be patient to purchase one of their sought-after automatic watches. The watch shown is the Hager Aquamariner, priced at $450. John Tarantino, an independent watch designer, launched Martenero in 2014. The goal of the brand is to create modern watches with a clean design and a versatile style. Although Martenero watches are more modern than most, they feature timeless designs that won’t go out of style. Perhaps the most unique aspect of the brand is that buyers are given the option to personalize the dial, hand, and strap colors. Once you order your custom-designed watch, a New York-based watchmaker will assemble it to your specifications. Martenero designs, assembles, and manufactures their watches in New York; however, they import many of the watch components, such as the case, dial, crystal, and movement, from China and Japan. But the watch brand does not import the watch strap; each strap is handmade in the USA. The watch shown is the Martenero Edgemere, priced at $550. Founded by Michael Wilson in 2012, Niall is a luxury watch brand that creates 100 percent of their non-movement components in America. This means that their cases, dials, hands, crowns, glass, gaskets, screws, straps, and buckles are all American made. Niall imports Swiss automatic movements from Eterna. Niall is known for not only manufacturing watches but also straps, clocks, and accessories. Their watches are incredibly durable and they feature a classic style with a clean and simple dial. The watch shown is the Niall Polaris, priced at $3,950. Keaton Myrick, based in Sisters, Oregon, is an independent watchmaker who specializes in custom handmade timepieces. Keaton Myrick is known for designing and building one-of-a-kind timepieces, and he’s distinguished for his hand-finishing. Myrick makes his own hands, dials, bridges, and screws for every watch he creates. Occasionally Myrick will take on restoration projects, but only for special watches that he’s excited to work on. On average, Keaton Myrick will create ten to twelve timepieces per year. This watch is an example of Keaton Myrick's work.